Understanding corporate banking needs and building effective, profitable, corporate banking relationships. 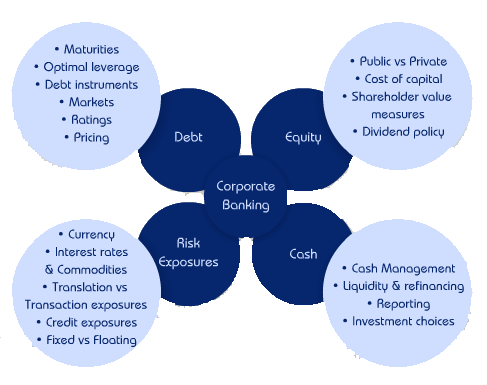 Key measures of corporate banking performance – debt vs equity measures. Understanding the clients’ business and geographic focus and approach to risk. Treasury risk management principles and fundamental features of Treasury risk products.